Heat oven to 350°F. In large bowl, mix butter, peanut butter, sugars, eggs and vanilla with spoon. Stir in remaining ingredients. On ungreased cookie sheet, drop dough by rounded tablespoonfuls about 2 inches apart. Bake 9 to 11 minutes or until edges are light golden brown (do not overbake). Cool 3 minutes; remove from cookie sheet to cooling rack. 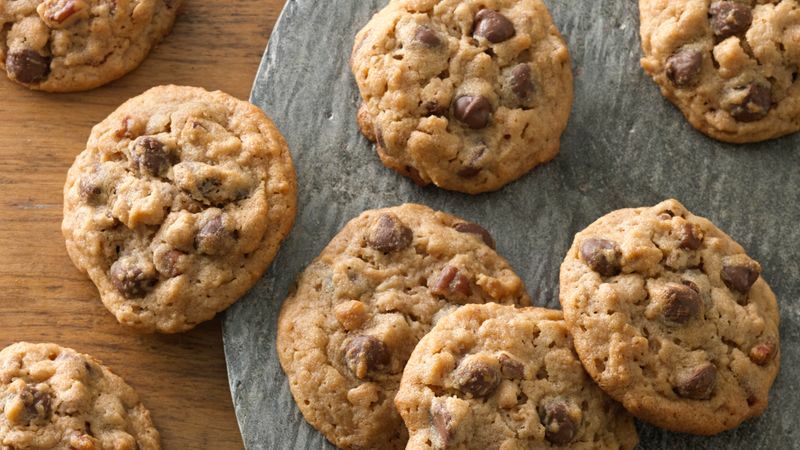 Use your favorite granola cereal in these cookies.